Agricole rum brand Saint James has created a new cocktail bitters following two years of research and development. Saint James Aromatic Cocktail Bitters is created using a base of sugarcane alcohol, which is macerated with plants and spices such as wormwood, gentian, quinquina, angelica flower, caraway, coriander and ginger. 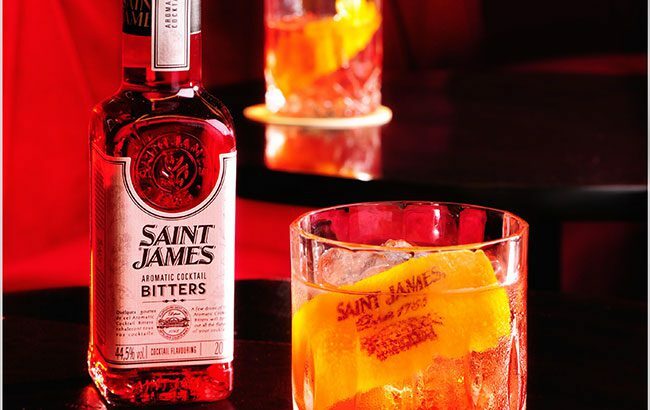 Saint James brand ambassador Stephen Martin used historical pharmacist, distiller and bartender manuals to come up with the final recipe. The mix of ingredients is said to offer a “perfect balance” of four flavour characteristics – floral, herbal, spicy and bitter – resulting in an “organoleptic profile perfectly adapted for white rhum-based cocktails”. The new product was showcased at ProWein in Düsseldorf this week at the stand of brand owner La Martiniquaise/Bardinet. Produced in Martinique, Saint James is the world’s best-selling agricole rum, with a distribution footprint in more than 50 countries.